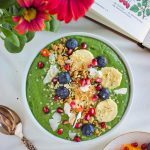 This Very Green Smoothie Bowl is filled with vegetables to get your greens in first thing in the morning! The ingredients “kale”, “courgette”, and “broccoli” might scare you, but give it a try before you write it off. 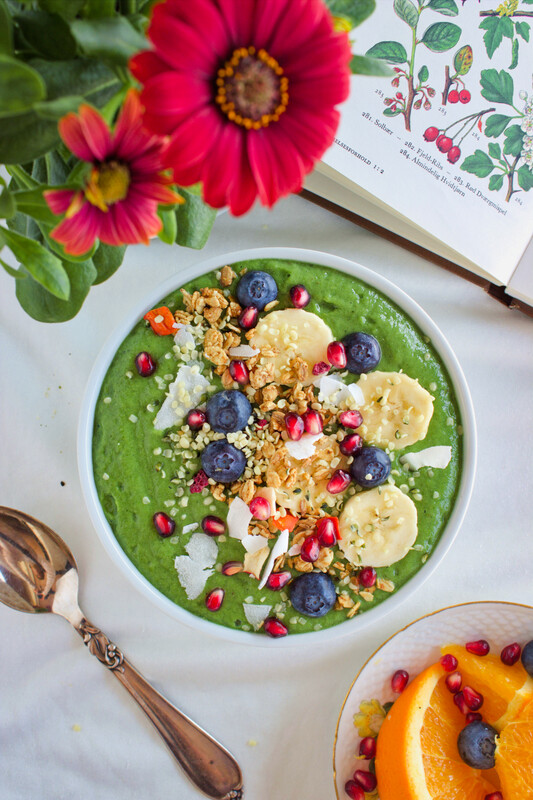 This smoothie bowl can be made in just 5 minutes, so it’s the perfect breakfast for busy days when you want something fresh, green, and fruity that will give you the energy you need and deserve! Last weekend my family and I went on our annual trip to Frederikshavn to support my brother in a floorball tournament. We rented an Airbnb for the first time, and it was a positive experience, although I was a little creeped out by living in some strangers’ home. We went to Karma Sushi where I had their vegan menu, and it was incredible. Dare I say the best vegan sushi in Denmark! I think it was the perfect way to celebrate my two-year-veganniversary which was last Tuesday. I can’t believe it’s already been two years, and at the same time I feel like I’ve been vegan my whole life. I can’t even imagine my old self drinking milk with my lunch and having meat and potatoes for dinner. It feels so… not like me, haha. My life and diet has changed so much since then. I used to not like vegetables (like pretty much every other kid on the planet, I guess), and now I’m eating smoothie bowls with broccoli in them. It’s weird. But I’ve gotten used to eating more vegetables and fruits and eating less sugar. 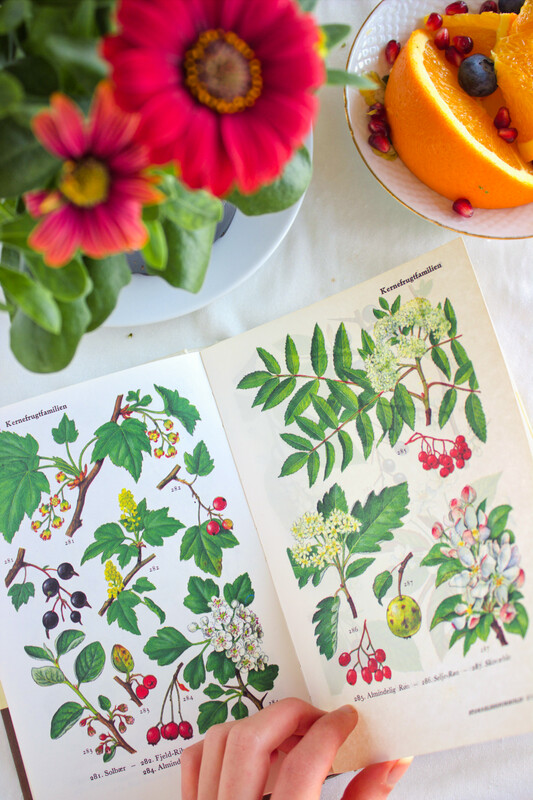 It’s crazy how much your taste buds can change if you give them the chance to do so. 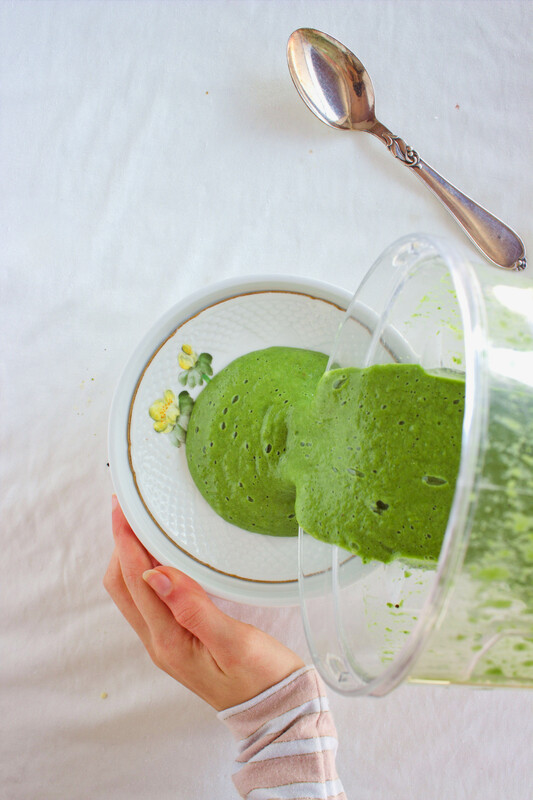 I’ll warn you that this smoothie does have a little of that “green” flavour. I think I added just enough sweetness, and I love adding orange to my green smoothies because I find it contrasts the bitterness of the greens really well. 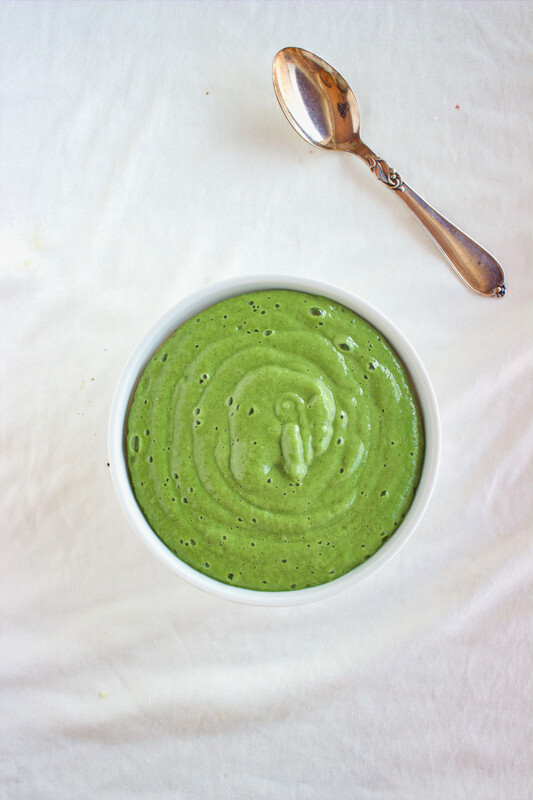 If you’re a beginner green smoothie drinker, I’d suggest starting by adding more dates and banana. Over time, your taste buds should adjust so you won’t even notice you’re eating vegetables for breakfast! 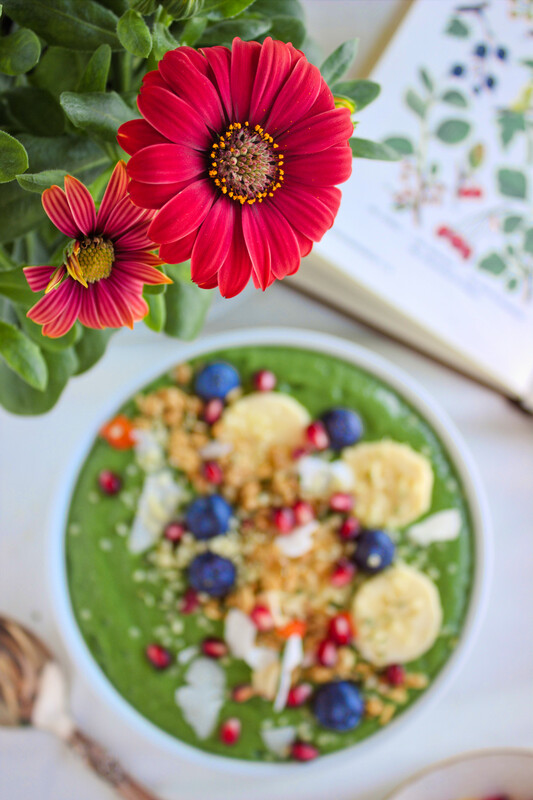 If you’re looking for a sweeter smoothie bowl, check out my Sea Buckthorn Blackberry Smoothie Bowl. It’s summer-y, pretty, and contains absolutely no vegetables if you’re still thinking that adding broccoli to a smoothie is a sin and makes “soup” a more appropriate name, haha. 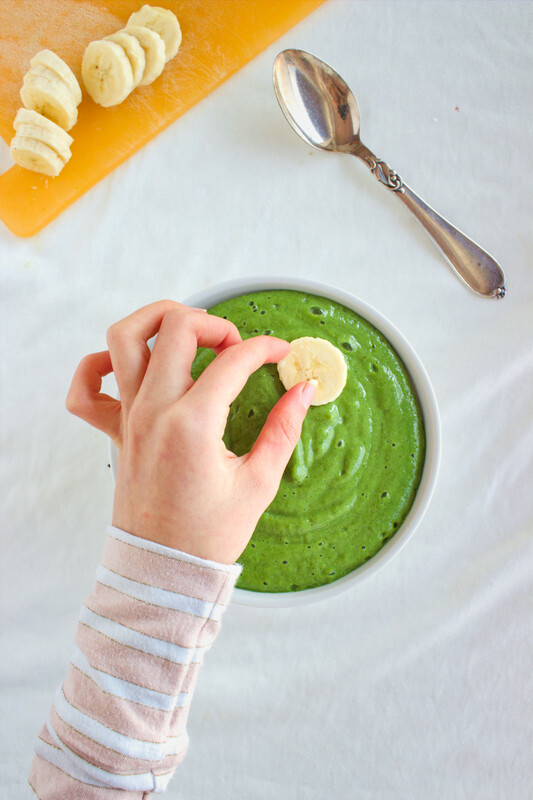 If you decide to try this Very Green Smoothie Bowl, let me know what you think about it. 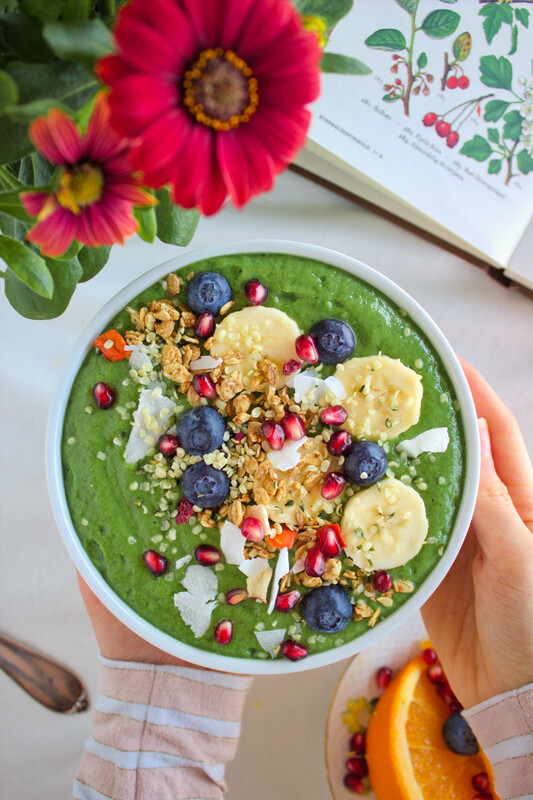 Rate it, leave a comment below, and take a picture of your smoothie bowl and tag me on Instagram. My profile name is @spirendeveganer. I’d love to hear your thoughts and see your creation! Place all the ingredients in a blender, except for the bananas, and blend until smooth. This will make sure everything blends easily and you don't get bits of vegetables throughout your smoothie. Then add the bananas and blend again until smooth and creamy. You can add more or less liquid and banana depending on the texture you'd like. Add more liquid and less banana for a drinkable smoothie, and less liquid and more banana for almost (n)ice cream. 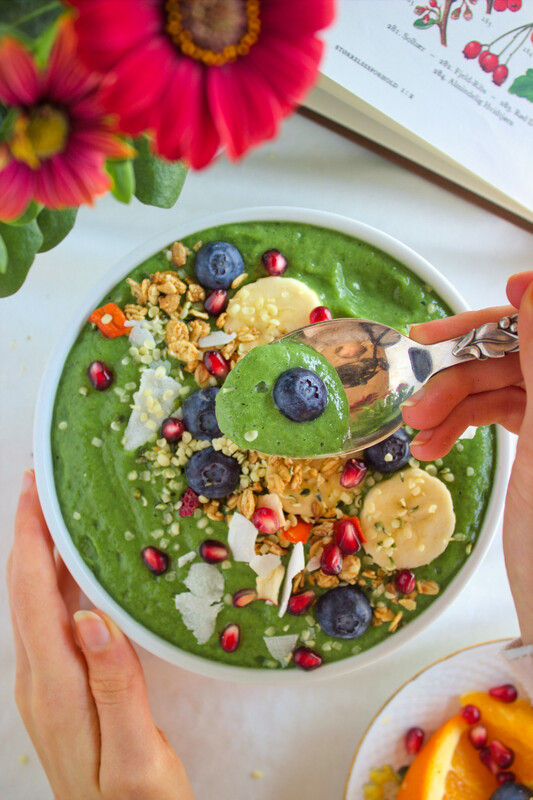 Pour into a bowl or glass and enjoy as is or top with, for example, sliced banana, granola, coconut flakes, blueberries, pomegranate seeds, and hemp hearts. *Nutrition information is a rough estimate calculated with 2 dates, water, and 1.5 bananas.